We believe that the beauty of coral reefs can be experienced anywhere. Deep Blue Discoveries brings coral reef ecology into the classroom through its fun and innovative program. We respect that children have the capability to imagine and create anywhere. 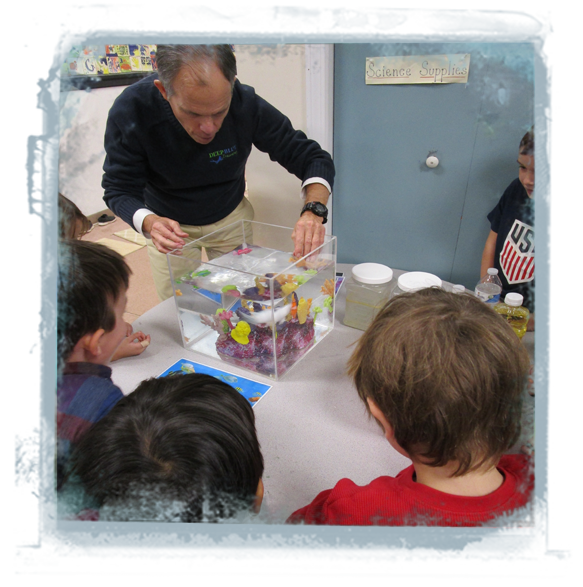 In the Deep Blue Discoveries Classroom Program, important scientific concepts are presented in an engaging and enjoyable manner. Children love to be inspired; by the end of our program, they are motivated to become eco-explorers and protectors of these breathtaking underwater habitats.